Tag Archives for: "Fruitful Fridays"
The Hospitality Connection to Growing in Faith: Are You Mary or Martha? Have You Ever Stood On Holy Ground? 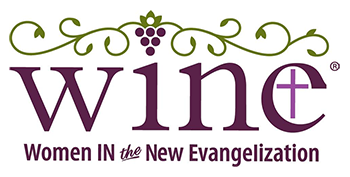 WINE is a creative and inspired ministry to invigorate women's groups and parishes through encouraging, supporting, and nurturing women in the Catholic faith and by equipping and mobilizing women as intentional disciples of Christ. © 2016 WINE. All rights reserved. WINE is a 501(c)3 not--for-profit organization dedicated is to meet women in their need and to nurture, encourage, and support them on their journey.